Now that the week of Black Friday and Cyber Monday have concluded, it is time for the bragging: what did you get on sale? How good of a deal was it? How soon can you mail me free gifts that you obviously bought for me? I got Nozaki-kun and School-Live! volume 1 at Barnes & Noble for 40% off, but the real crowning achievement was my FUNimation purchase. They had up to 70% off on some things and free shipping and handling. The Spice & Wolf complete series (both seasons) was usually $55, but it was 50% off, with free shipping. Additionally, since I waited to renew my FUNimation subscription until they had a deal last month with a $25 coupon, I had that coupon to use. So, in conclusion, it cost me a total of $2.49 for both seasons of Spice & Wolf on blu-ray. Winning. 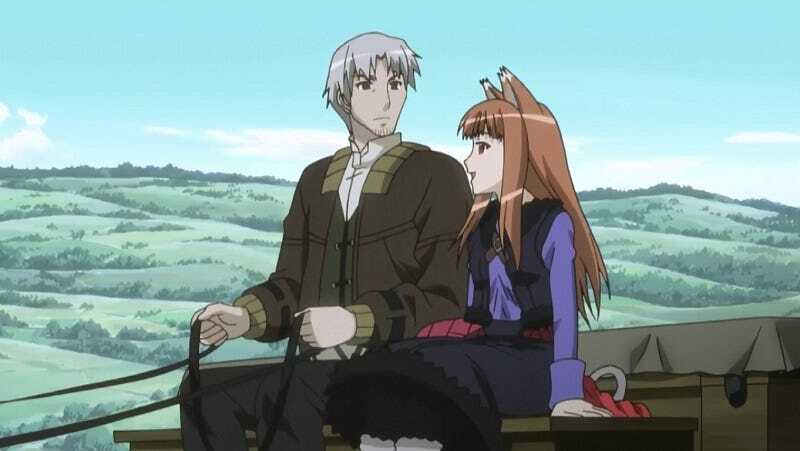 Header from Spice & Wolf. Want in on the Ani-TAY action? All you need to do is follow this tutorialand tag your article with Ani-TAY in addition to the other tags you see fit. Also remember that the Café has a selection of image assets for your Ani-TAY writing needs and spreadsheets for coordinating with your fellow Ani-TAY writers. Hi guys, good news. There’s a new podcast.